Sprint (s s) announced Thursday it gained 1.1 million subscribers in the second quarter in addition to its lowest churn rates ever for both pre- and post-paid customers. That good news on the customer side was offset by another quarterly financial loss: The no. 3 carrier in the U.S. experienced a net loss of $847 million on $8.3 billion in revenues. Sprint did report higher overall average revenues per user as more consumers added 3G and 4G data plans, but it still lost money due to its mix of customers. Sprint’s second quarter results, including our fourteenth consecutive quarter of improved customer care satisfaction, our best ever postpaid churn, more than 1 million net wireless subscriber additions and wireless service revenue growth, validate that our focus on providing simplicity, value and an unmatched customer experience is working. Hesse’s statement is correct and factual, but unfortunately, overlooks other facts contributing to Sprint’s current challenge. Although the company gained 1.1 million net subscribers adds, net post-paid consumers declined by 101,000. That means the bulk of the new customers would be from less profitable segments. Indeed, 519,000 of the new subscribers are wholesale or affiliate customers, while 674,000 were added through pre-paid channels. That’s a problem, because ARPU on the pre-paid side actually declined slightly to $28. 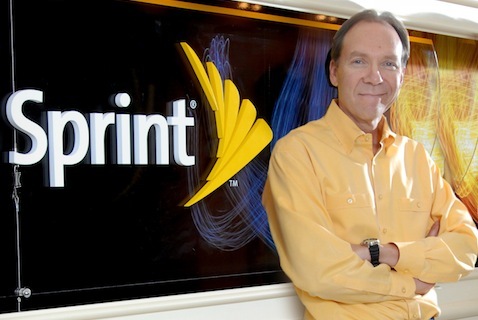 Part of the issue here for the more lucrative post-paid side could be due to Sprint’s choice of 4G technologies. Sprint initially opted for a WiMAX network it opened for business in October 2008, but the speeds are getting leapfrogged by LTE and HSPA+ networks from competitors. Sprint is now turning to LightSquared’s spectrum, and bank account, to build out an LTE network. As a result of the deal, also announced today, Sprint will receive $9 billion over the next 11 years from LightSquared, and will be able to offer competitive speeds and coverage as its grand WiMAX experiment comes to an unprofitable close. Kevin – it’s always great fun to talk about maximum bandwidth, but I wonder how many actual users needs are met by the _incremental_ differences between WiMax and LTE/HSPA+. I personally don’t care which 4G protocol they use but am very interested in if their cashflow will let them keep offering better bandwidth/dollar than their competitors. What is the equilibrium price for fast 4G. If AT&T squashes T-Mo’s pricing post-merger, and VZW continues to enthusiastically raise their prices, then price more than any technology will determine Sprint’s fate. Good point, although price hasn’t seemed to make much of a difference yet. Sprint has touted unlimited everything at a reasonable price for quite a while now, even as competitors have left unlimited data plans behind. And the technology does matter to some: the WiMAX frequencies used by Sprint/Clearwire don’t penetrate walls as well as lower frequencies. We all have different needs, so that may not matter or affect some, of course. Technologies do matter. If Sprint had gone GSM/HSPA/LTE then they would be following the world standards. Networking equipment and mobiles that wouldn’t have to be uniquely designed for them. Many people use the iPhone on T-Mobile even before it was officially sold unlocked. There is nothing AT&T can do about it. If T-Mobile had the same 3G network frequencies then they would have to battle harder to keep the customers…much harder to lock them in. Implementing LTE in the future should be an asset. Maybe – but conforming to world standards seems a little overrated to me. Right up until their LTE deployment, both Verizon and their customers have been served pretty well by the “rebel” CDMA standard. Even if the big 4 (3)- were all completely standardized on LTE – the handsets will have to have multi-band radios to facilitate easy carrier swapping.